Fr. Joe had a great love of cats. 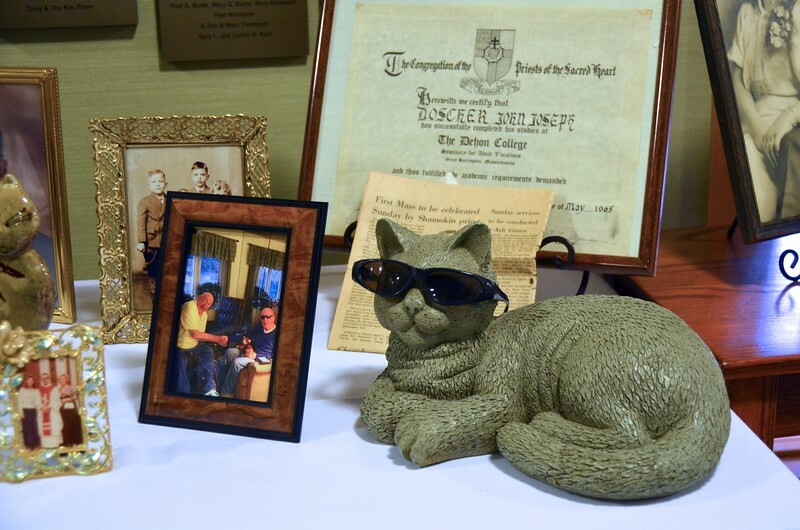 Several pieces from his collection were on display with other mementos.